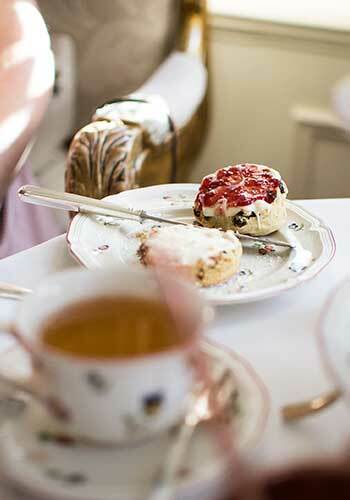 Have you enjoyed a traditional British tea in your travels? If not, you are missing out on a delightful custom. You don’t have to visit the British Isles to partake of this meal as many hotels, restaurants and cruise lines offer their version. Usually you will find it in countries that feature England colonization or immigrants in their past, but it is amazing the number of places and where you will discover this traditional English meal on the menu. Afternoon tea began as a bridge between the mid-day and evening meals of the rich and the aristocracy. The evening meal was fashionably late – as late as eight or nine o’clock at night which left a huge gap between the daily sustenance even for the idle rich. Anna, the 7th Duchess of Bedford, started the practice of having a “snack” in the late afternoon to keep up her strength and this light meal proved popular amongst her London friends when she extended invitations to afternoon tea social events which she hosted. Queen Victoria adopted the affair and made it even grander. Her teas were receptions where the guests might number in the hundreds. The Duchess’ tea was the traditional afternoon tea. 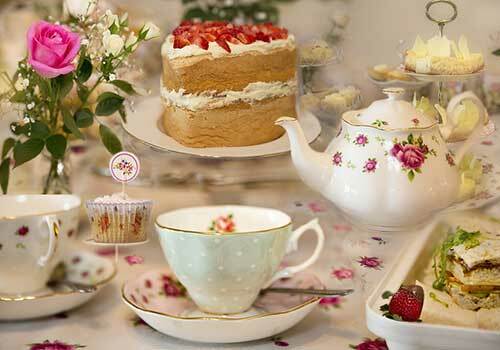 It consists of four parts: finger sandwiches ( meaning two-inch or so in width slices) , scones with clotted cream and seasonal fruit, various cakes, and of course, tea. Everyone inevitably thinks of cucumber when they think of English sandwiches, but these might contain fillings of roast beef, chicken, tuna, salmon, or egg instead. 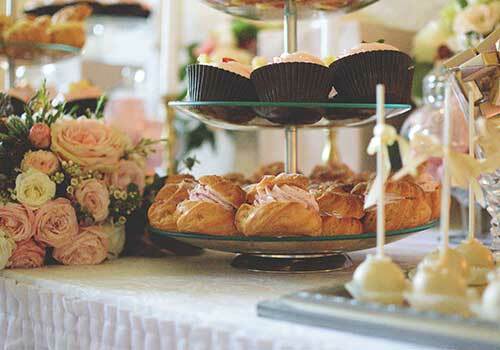 Cakes could include traditional frosted or unfrosted cakes, cupcakes, fancies (iced buns), or tarts. This meal would be eaten in the parlour or on the lawn whilst relaxing on low, comfortable chairs, and not around a dining table. 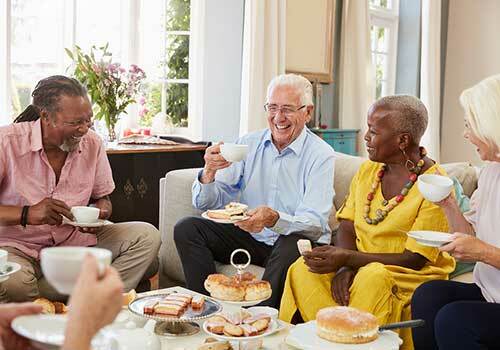 These days you will partake of afternoon tea in restaurants or hotels, or for special occasions such as wedding showers or other special events. The afternoon tea made popular by the Duchess did not cater to the needs of the working classes. These folks could not stop in their work to indulge in sandwiches and cakes in the afternoon. Hence the “high” tea was born. High tea was taken at the now traditional “supper” time when work ended, and it involved much more substantial and hot fare to fill the empty stomachs of hard-working people. It was eaten around the table, hence the term “high” tea as opposed to tea taken at low parlour chairs. Most people outside the British Isles do not distinguish between the two types of teas, or meals, and High Tea as advertised on ships or at hotels is often what is an Afternoon Tea menu but eaten at a table. You may also see variations even on this. Champagne teas offer champagne as part of, or in addition to, the regular courses of sandwiches, scones, and sweets. Cream teas are just the pot of tea plus scones, clotted cream, and jam preserves. Whatever type of tea (meal) you have, afternoon or high, it will be a treat and a fun experience in indulging your taste buds. Clotted cream and strawberry jam on scones – yum! What is your favourite? Luxury cruise lines such as: Viking Ocean, Crystal Cruises, Cunard, Oceania Cruises, Regent Seven Seas, Seabourn, and Silversea. The afternoon teas are generally complimentary. You may also experience afternoon tea on other lines such as Holland America, Princess and Celebrity. Check the daily newsletters on board. *Photo taken at the Egerton House Hotel, London, England .Feature image courtesy of Pixabay.